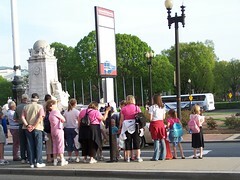 Tourists, oops, I mean "visitors," waiting for the Tourmobile at Union Station. A Rawhide Days festival, a historic brothel district and an arts alliance provide a few pieces to an updated Sedalia tourism plan. Debbie Biermann, executive director of the Sedalia Area Chamber of Commerce, said the Tourism Coalition spent more than a year taking inventory of the city's attractions. The next step will be to develop new festivals and events to attract people to Sedalia year-round. Ms. Biermann said a Rawhide Days festival, based on the television series in which Sedalia was the end the trail for Texas cattle drives, could tie into a historic brothel district. 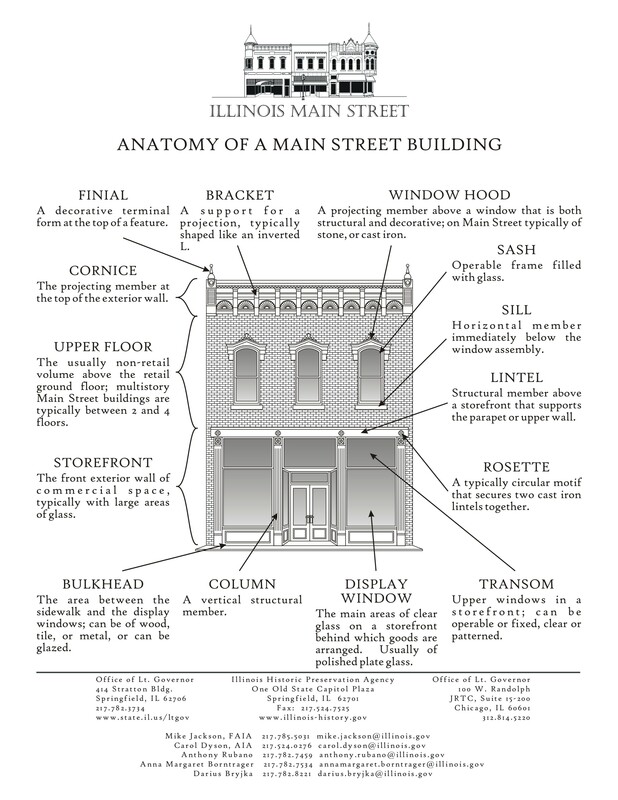 The tourism plan calls for living history tours of the old Main Street brothel district. Ms. Biermann said an arts alliance could help raise money for arts organizations and develop programs. The plan includes ways to promote agri-tourism, the Bothwell Lodge, Daum Museum of Contemporary Art, downtown Sedalia, Katy Depot, Missouri State Fairgrounds, parks, trails and Pettis County Historical Society. The plan calls for developing a "Ragtime complex" downtown with a theater, an exhibit area for Scott Joplin memorabilia and retail space. In all seriousness, Sedalia, Missouri is to be commended for having a systematic tourism development program that is used to shape, develop, and prioritize for funding various cultural, heritage conversation, and tourism development projects. 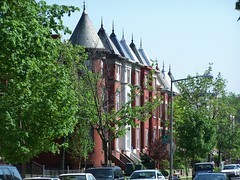 While it's true that CulturalTourismDC does get some funding from the city, as does the DC Marketing Center for business development and retail attraction programs, taxes which are classified as tourism taxes are directed mostly to the Washington Convention Center Authority and the Washington Convention and Tourism Corporation. The latter organization markets the city (it would be considerd a CVB or "Convention and Visitors Bureau") and the former organization operates the Convention Center. If we focus on making the city a great place for those of us that live here, it also becomes a great place for others to visit. Therefore, I argue that the tourism tax revenue stream also needs to support the maintenance and development of the city's cultural resources--arts, museums, other cultural activities, and history and historic preservation--since these are the assets that contribute to what makes Washington, DC a distinctive and interesting place. Right now, most of DC's tourism attraction effort focuses on aspects of the city that related to "The National Experience." That makes some sense, because that is why most people visit the city. At the same time that aspect of the city experience is over-developed, the local cultural and history assets are under-developed. Ideas were not in short supply as Natchez tourism leaders met Thursday to consider ways to draw more visitors to the city with new attractions. From a performing arts center on the riverfront to a museum of vice at Natchez Under-the-Hill, suggestions ran the gamut — but with a consensus that always came back to the city’s most important asset, the Mississippi River. Guiding the meeting were consultants Hugh Spencer and Joy Bailey of Canada-based Lord Cultural Resources Planning and Management Inc. New Orleans developer Tom Bauer of Natchez, who plans to build a hotel across Canal Street from the Natchez Convention Center, sponsored the forum. There is no reason that the development of local cultural assets can't be paired with the development of big projects. Speaking of letting people out, I have been derisive of Station Place's potential impact on retail redevelopment in the area around it (on 2nd Street NE as well as H Street NE). 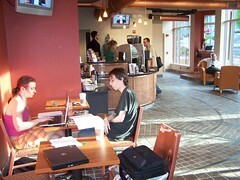 While Banducci's restaurant at 2nd and F Streets NE has proved me right, the new Ebenezer's Coffee Shop has proved me wrong. It's beautiful and provides quality products, so Station Place workers are starting to venture out of their building--just not to Banducci's. 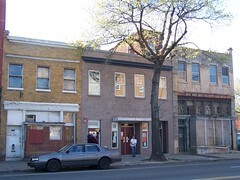 Ebenezer's Coffee Shop, 2nd & F Streets NE, Washington, DC. 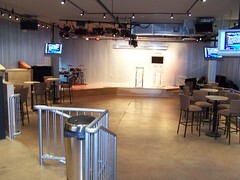 They dug out the basement to be able to put in theater high ceilings, with a stage and lighting (for Saturday evening church services conducted by the nonprofit church that created the Coffee shop and owns the building).